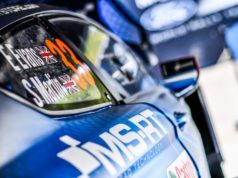 The 2018 WRC title rivals face a thrilling final day showdown at Rally Italia Sardegna. 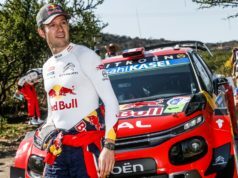 They traded seconds across seven dusty and rocky speed tests in the north of the Mediterranean island before Sébastien Ogier finished with a slender 3.9sec advantage. Thierry Neuville, who heads Ogier in the WRC championship battle by 19 points, claimed three stage victories in his Hyundai i20, compared to Ogier’s two at the wheel of a Ford Fiesta. Ogier extended his overnight advantage to almost 20sec before an overly-cautious drive through the famous Monte Lerno stage cut his lead to less than 5sec. As temperatures soared this afternoon, in contrast to yesterday’s torrential rain, both had problems. 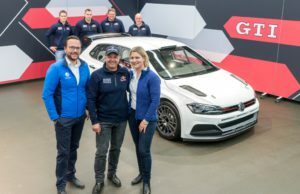 With just one spare tyre onboard, he had no room for error in the final two stages. Jari-Matti Latvala and Toyota Gazoo team-mate Esapekka Lappi fought tooth and nail for the final podium place. Latvala’s lead never rose above 7.0sec and he ended the final stage with a 5.3sec advantage. However, his Yaris stopped on the liaison section back to Alghero with an alternator problem, believed to have been caused by an impact with a rock. Despite the efforts of the Finn and co-driver Miikka Anttila, they could not restart the car and retired. Østberg began the day in front in his Citroen C3, but his Kiwi rival moved his i20 ahead and held off the Norwegian’s afternoon pursuit. The gap between them was 2.1sec. Craig Breen was sixth in another C3 after a frustrating day. Sunday’s short finale comprises two loops of two stages along the coast north of Alghero. 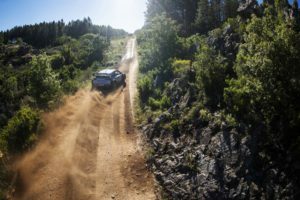 They add up to 42.04km, the action ending with a spectacular Power Stage which runs alongside the beach and offers bonus points to the fastest five drivers.